As part of our online storage series we will take a look at most services available. I am going to focus on the free services, taking a look at what they offer or do not, which should help you decide if one is appropriate for you. Using online storage services as a supplemental step is beneficial in a well rounded backup plan. So far we have taken a look at Microsoft’s Live SkyDrive and i also briefly covered Mozy Home a while back. Today lets take a look at ADrive which offers a whopping 50GB of free online storage. There are also a couple of premium plans they offer as well. Before signing up for any “pay for” service it is definitely a great idea to test the free versions before spending money. 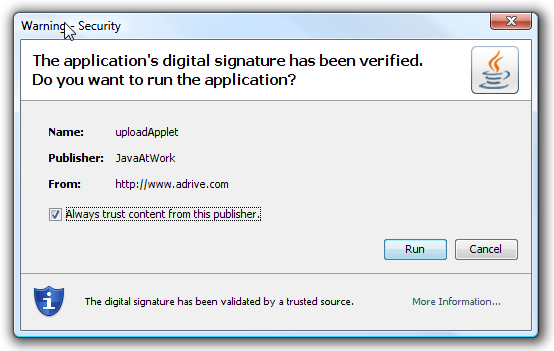 After setting up your account you will need to download Java if you have not already. If not there is a link which points you to the download site. 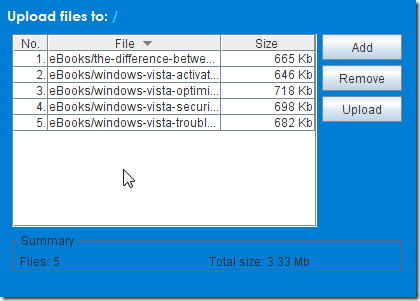 If you’re using Vista check the “always trust…” box and then Run. 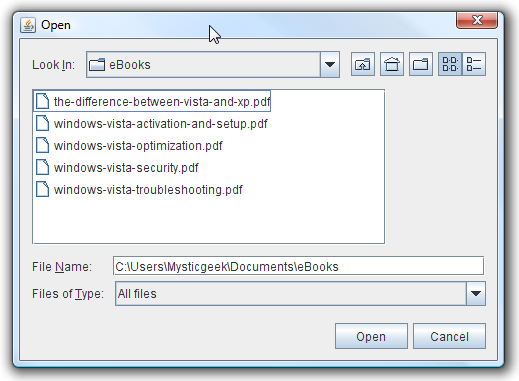 You then get a nice Java file explorer to navigate and find the files or directories you want to upload to ADrive. 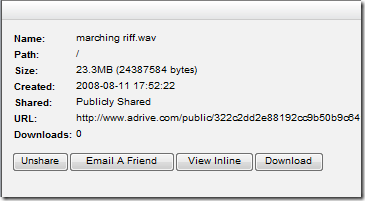 The files are then added to the ADrive upload manager on the site also. Once you have the files in place to upload, simply click the Upload button. 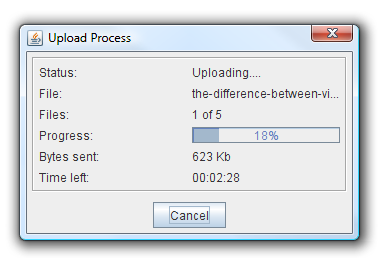 While files are uploading a Java progress window will be displayed. If you don’t want to install Java on your machine there is a very basic uploader you can use. 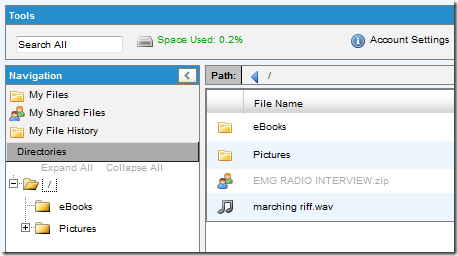 When logged in to your account you will have access to your files through an explorer type interface. 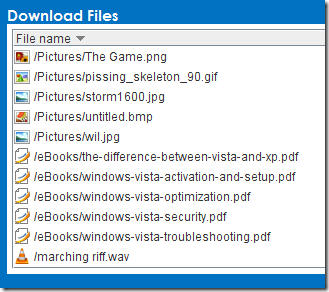 Go to the download section to browse through your files and select which ones to grab. 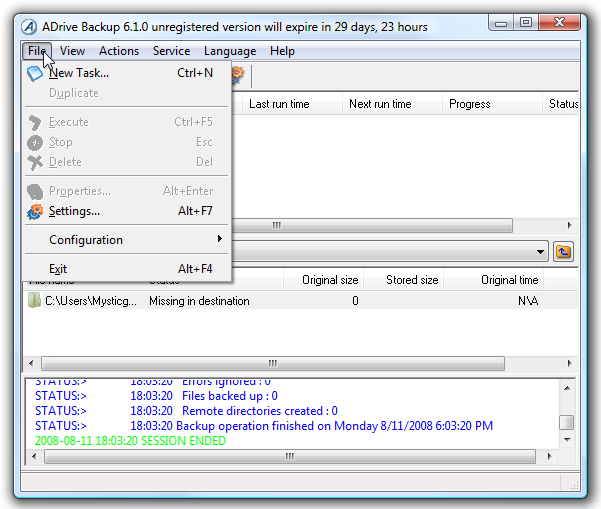 Another cool feature of ADrive is the Backup Client. 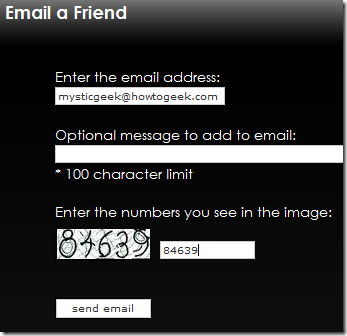 This is a small utility you can download after signing up for a Basic Account. This allows you to schedule full and incremental backups. This application is only free for 30 days then you have to pay to keep using it. 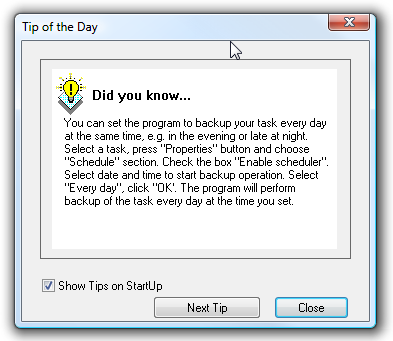 While you’re first getting used to operating the Backup Client you can enable the “Tip of the Day” which pops up with a new tip every time you launch the application. 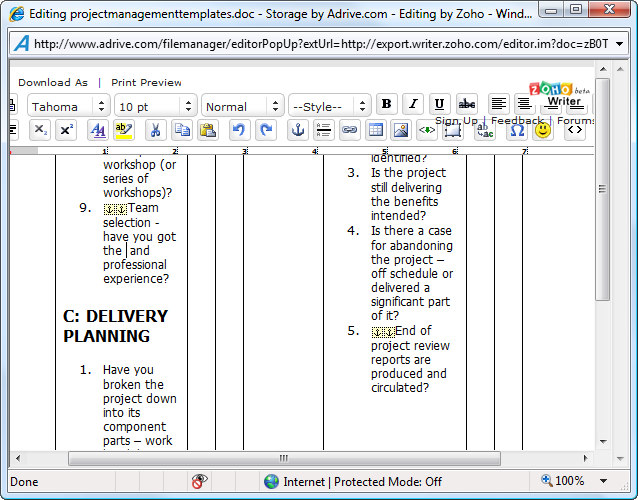 Another interesting feature is the ability to modify Microsoft Office documents online in ADrive with Zoho Online Document Editor. To do this go into your drive and right click on an office document (from what I have tested, Office 2007 documents saved in XML format are not recognized by Zoho) and from the popup menu choose “Edit in Zoho”. The document will then open in a separate window with Zoho Document Editor and you can make edits and save changes to the document on the drive. All of this for free … not bad. As with most of the online drives you have the option to share documents in a public folder. You are given the direct link to the document and choose to not share, download, or email to another person. The email will send who the file is coming from and also provide the direct link so that person can download it. So far I have been pretty impressed with ADrive as a storage option and they are regularly adding additional features. 50GB of free storage with a maximum upload file size of 2GB. After using this service more I am seriously considering an upgrade to one of the pay options which offer more space and other features. Though ADrive may not be the most well known online storage company they are definitely worth a closer look. As of this writing they offer 3 plans which are Basic, Signature, and Premium. You can read more about and compare each service on their site.